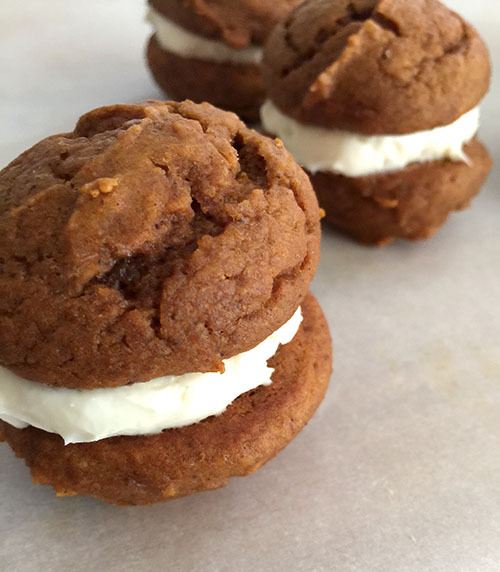 For those of us with limited experience — eating or baking — whoopie pies, we may wonder what all the fuss is about. 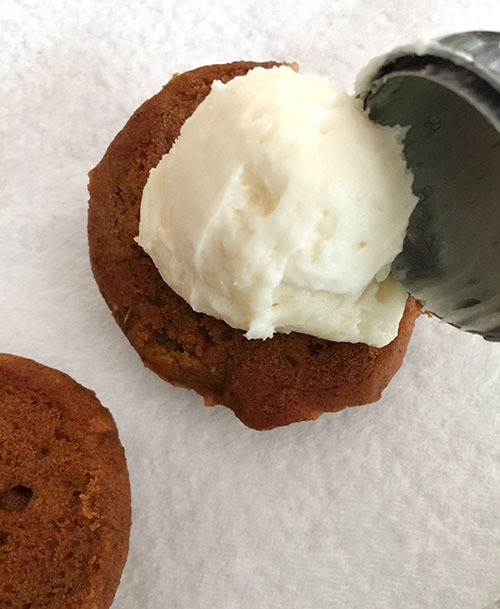 Sure, they look terribly inviting — plump-soft cookie-cakes sealed together with a creamy filling…a whole lot to love. I had perhaps resisted in making them because they seemed too complicated or seemed to require more of a special occasion. But what I discovered is that they really are simple to make and, in fact, have a very humble history. 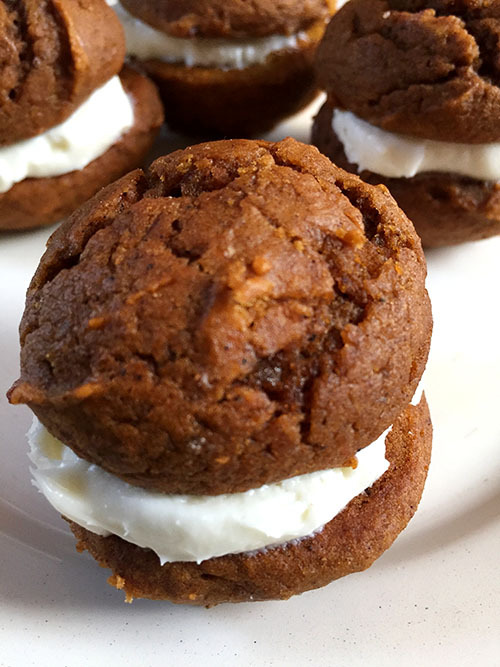 The whoopie pie has American roots that have been credited to both New England and Pennsylvania’s Amish country, according to “The Oxford Companion to American Food and Drink” (2007). One theory is that the treat came about in the Great Depression, when some leftover cake batter was put to use for a new kind of dessert. Legend has it that when these cream sandwich cakes — the originals were chocolate — made it into children’s lunch sacks, they yelled “Whoopie!”. Part of my enthusiasm for this came from seeing Renato Poliafito himself making this recipe on Food Network’s “The Kitchen” as an alternative Thanksgiving dessert. Seeing the pretty little domed pumpkin cakes he created and sandwiched together with cream cheese filling got me motivated. The right whoopie at the right time. 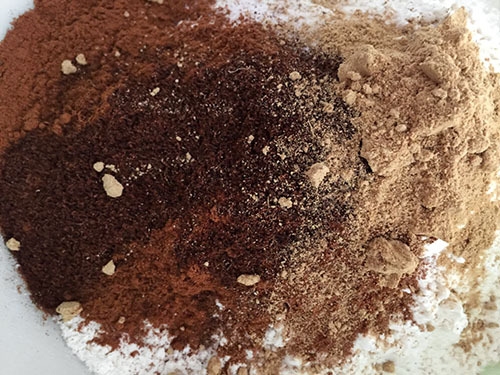 I had to check the recipe in both the book and on the Baked Sunday Mornings printout a couple of times to be sure my eyes weren’t deceiving me when I was mixing up the dry ingredients for the cookies— two tablespoons of cinnamon, a tablespoon of cloves and a tablespoon of ginger? Oh my! 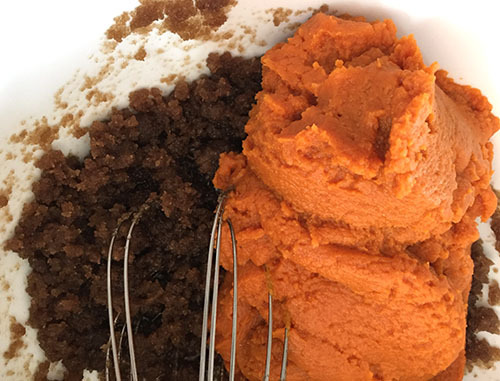 I didn’t mind the spicy depths of this at all, but it seemed a high amount…but it does end up making a big batch. 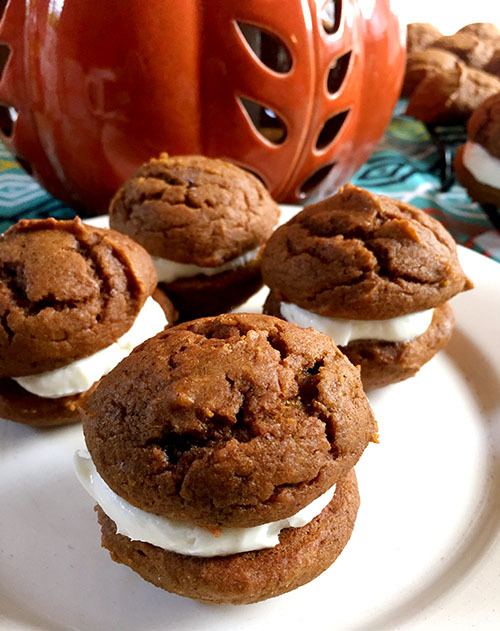 Part of the success of the shape of the domed cookies in this recipe is chilling the pumpkin puree beforehand, which Poliafito emphasized on “The Kitchen.” A nice, sturdy round cookie — not one that spreads and thins out — is key for these little cookie sandwiches. Uniformity (not my strong suit) is also essential for whoopie pies, as you have to have matching sized tops and bottoms for the little sandwiches to work. 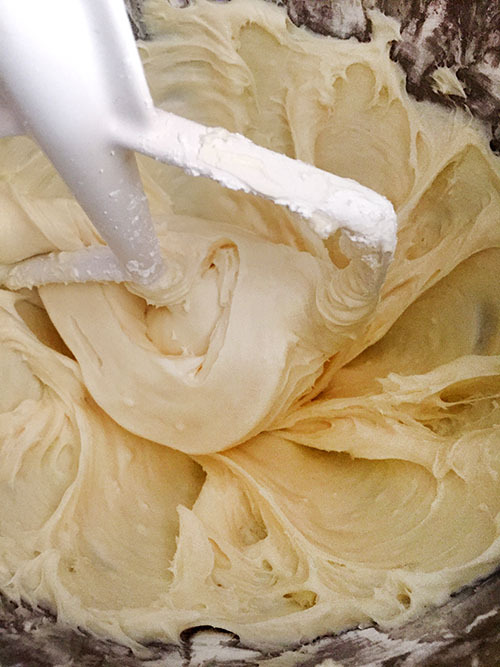 I employed one of my scoops (I have a few now…I have learned) to dole out mounds of batter in fairly accurately equal sizes (hooray…I mean, whoopie!). 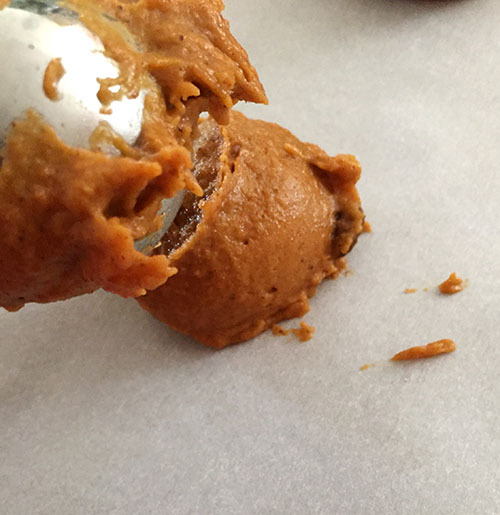 Oh heavenly pumpkin…the smell of the little pumpkin cookie-cakes baking was a much-needed balm in my kitchen…all the best smells of pumpkin pie baking. 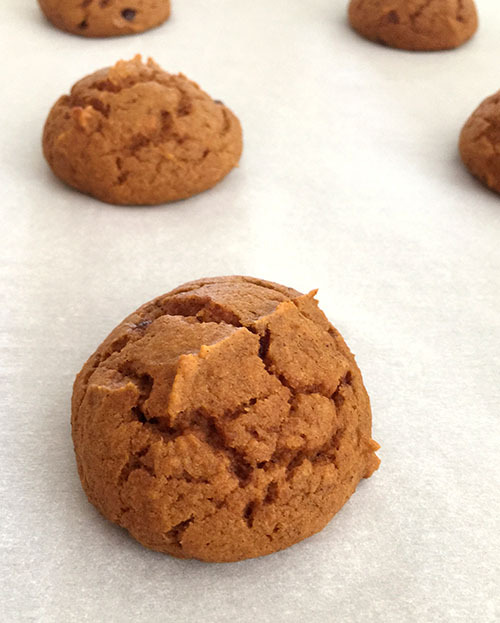 When I pulled the cookies out of the oven, I found myself saying something I don’t usually say when pulling things out of the oven: “Oh, these are so cute!” They were! 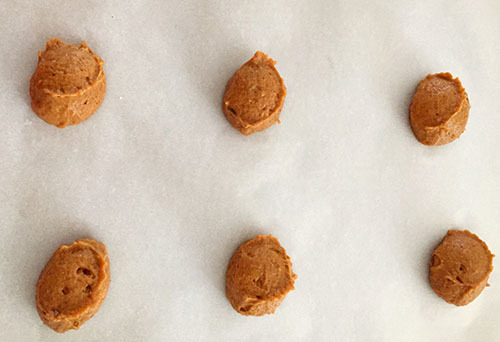 Fat little perfectly shaped, spicy orange cakes, even and awaiting their filling. And the filling could not be simpler — butter, cream cheese, confectioner’s sugar and vanilla. I whipped it up after the cookies had cooled and commenced to making sandwich-pies. 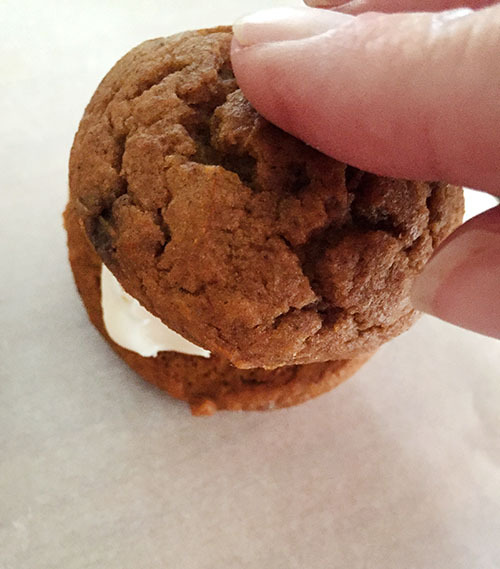 It was fun (and not laborious) to fill the whoopie pies…I used a slightly smaller scoop than what I used for the cookies to mound filling onto the flat bottom half of a cookie. Topping that with another cookie and pressing down, I thought this would be a fun project for kids. I ended up with about 24 completed whoopie pies, and planned on sharing some with friends as a pre-Thanksgiving treat. That, I would say, is what the “whoopie” is about. 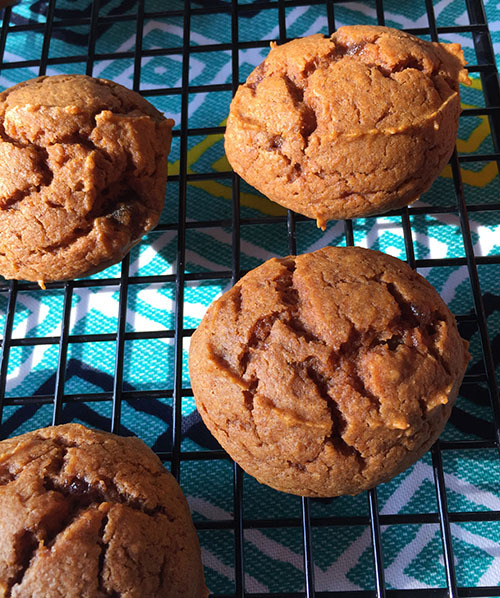 Blogger’s Note: Visit Baked Sunday Mornings http://bakedsundaymornings.com/2018/11/13/in-the-oven-pumpkin-whoopie-pies/ for this and other recipes.